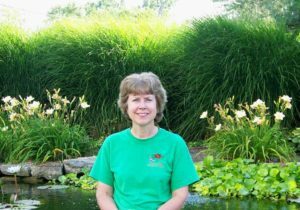 The staff at Green Vista, Ohio’s leading water garden specialist, is eager and waiting to assist you with all your water garden needs. Here you will find the expertise and commitment to quality never found at a home center or discount store. We concentrate only on water gardens, pond accessories, pond supplies and the advice you need to help you create a backyard paradise! Steve’s interest in plants began as a teen when he maintained his family’s fruit and vegetable gardens in Cincinnati. As a college student he worked at various garden centers acquiring valuable experience in the Green Industry. Steve graduated from the School of Horticulture at Ohio State (B.S.) and Purdue University (M.S.) which has given him an educational foundation to supplement years of practical experience working with plants. As the retail manager at Scarff’s Nursery during the 80’s and early 90’s, his business and plant knowledge grew as well as his desire to start his own business. 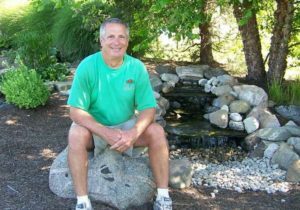 In the early 1990’s Steve turned his “green thumb” into a “blue thumb” when he delved into water gardening and founded Green Vista Water Gardens. Heather’s appreciation for the outdoors started in her childhood and determined her career path when she graduated from Ohio State University with a bachelor’s degree in Horticulture. She has developed a particular interest in tropical lilies over the years and has shared her knowledge and passion with our numerous customers. Heather helps manage the daily operations in the retail division and enjoys providing the guidance needed by our many loyal customers. Keith’s association with, and appreciation for, “all things green” began while working at his grandfather’s farm in southern Ohio. He started a lawn maintenance business in high school that eventually led him to Ohio State University and a bachelor’s degree in Horticulture Landscape Design. Upon graduation, he began working as a landscape designer at Scarff’s Nursery, receiving the Ohio Governor’s Award for commercial projects. 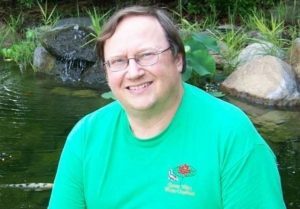 Keith initially got his “feet wet” in water gardening while contracting with Green Vista on design projects involving water features; both residential and commercial. Keith has been with Green Vista Water Gardens since 2007, working in installation, retail sales and as an outdoor manager. He maintains the aquatic plants, the fish, and the display ponds. His continuing education includes participating in OSU short courses, emphasizing Horticulture & Landscape Design. Mackensie joined Green Vista in 2013. Early on, she developed a fascination for the beauty of koi ponds and water gardens. She happily assists with our day-to-day retail and online customer service operations. Mackensie graduated from Clark State Community College with an Associates in Business Marketing and is currently studying at Cedarville University. 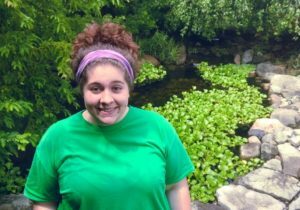 She says, “Working with Green Vista Water Gardens has continuously provided me with the opportunity to expand my knowledge and skills within the business world as well as opening my eyes to the wonders of water gardening.” When she is not in class or working, Mackensie enjoys reading and volunteering with her local church by singing and playing guitar for their worship team. Thank you for visiting Green Vista Water Garden's.Green Vista is the name of the business I started in 1995 specializing in the installation and maintenance of custom designed water gardens. Copyrights © 2017 All Rights Reserved. Designed by Sreseo.